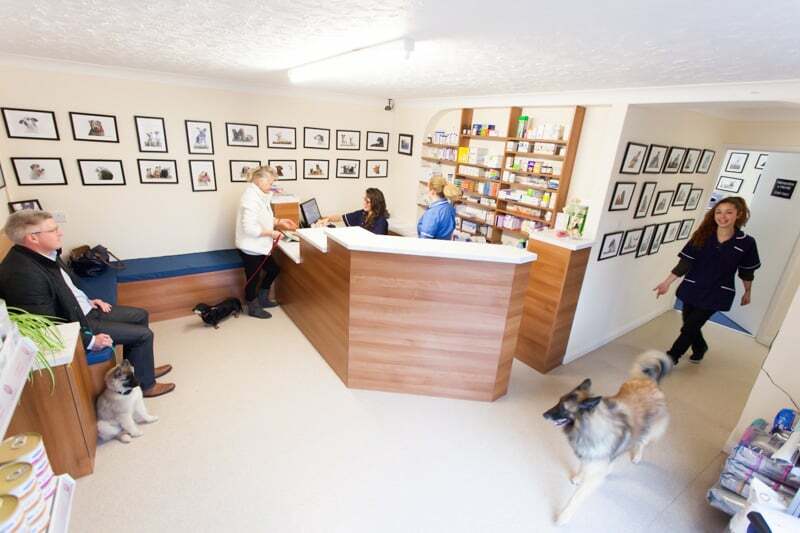 Facilities at Cherry tree Vets in Diss and Harleston. no appointments required, open surgery. As soon as you walk into our reception it will feel warm and comforting. You will be greeted by one of our friendly receptionists, who will endeavor to look after you and your pet(s) whilst waiting to be seen by one of our vets. Our chief welcoming receptionist assistant is Kloe, the Belgian shepherd born November 2013, still a puppy but growing into a very fine lady. She likes the comfort of the surgery, enjoys the surrounding of pets, large or small, cat or dog and adores children! You will always see her “hanging around” shadowing the vets as she would like to become a vet too. In the late summer 2013, we invited our customers for 3 days photo shoot to capture the character of each individual pet who came and we displayed over 200 mounted and framed photos on the surgery walls for our grand opening day a month later. Those photos are the heart of the surgery, and all our vets can tell a story on each of those pets. Some pets sadly have left us due to old age, but we like to cherish their memory by keeping them on our wall of fame! For shy, upset or stressed animals, we have a second waiting room, sheltered from the busy reception/large waiting room area. Onsite Diagnostics includes digital x-ray. Advantages include time efficiency through bypassing chemical processing and the ability to digitally transfer and enhance images. Also less radiation can be used to produce an image of similar contrast to conventional radiography. Instead of X-ray film, digital radiography uses a digital image capture device. This gives advantages of immediate image preview and availability; elimination of costly film processing steps; an eco friendly set up with no chemical waste to dispose of; a wider dynamic range making forgiving allowances for over or under exposures; as well as the ability to apply special image processing techniques that enhances overall display of the image. Animals for routine operations are generally admitted in the morning between 8:30am and 10:00am at the Diss or Harleston surgery. On arrival you will be asked to read and sign a consent form. 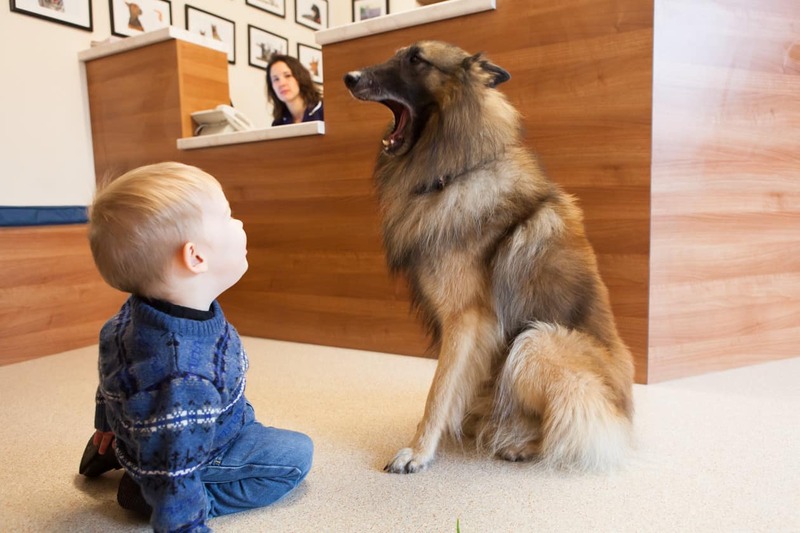 Please ask the receptionist if you are not sure about anything. Most operations are carried out in the morning, lunch time or early afternoon if it is a busy day. Your pets will be ready to be collected from 4:00pm to 6:30pm. If you wish you may telephone at 3:00 pm to check if this is okay. 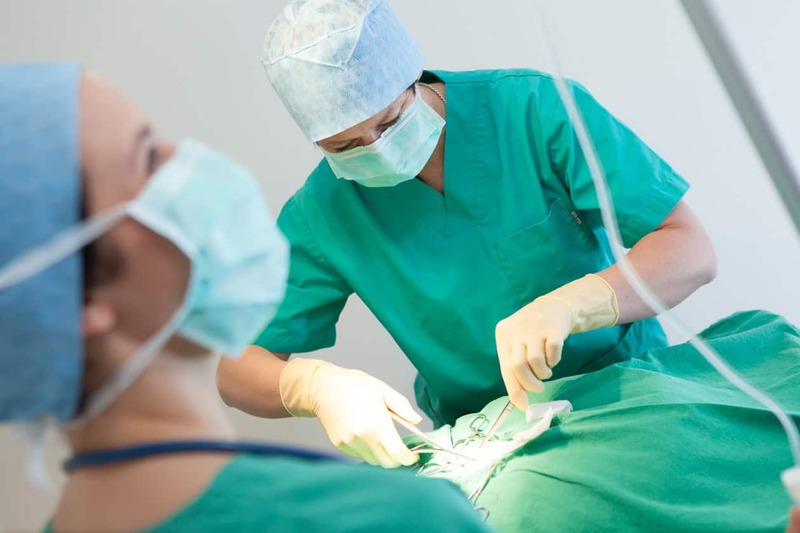 Most routine operations are carried out under a general anaesthetic which will require that your pet is fasted from the night before. You may leave a water bowl for breakfast for your pet. You will be given details when you book the operation. You will receive a courtesy call a few days prior to the operation to make sure the date is still convenient for you. 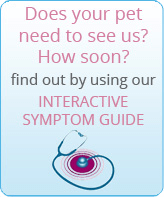 At Cherry tree vets, we are privileged to use modern diagnostic equipment. We are proud to offer you digital radiography, the same technology on offer at modern teaching hospitals or private health care centres. Our computerised Radiology uses a reusable digital “film” read by a scanning machine. The process takes only a few minutes. Quality of image. 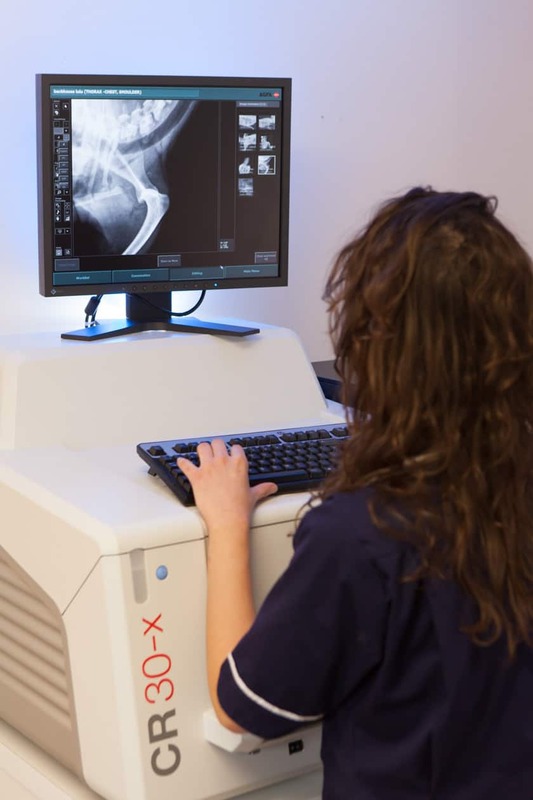 Digital Radiography is state of the art producing images, often of jaw dropping quality, similar to those we find in much bigger veterinary hospitals. No delay. As soon as the equipment is turned on, we are ready to take the radiograph. Fewer exposures. Digital X-ray comes with an extremely intelligent software, allowing us to change parameters and view things we might not at first glance. Lower dose. We have been able to reduce the x-ray settings converting to digital. Although all x-rays involve a very very very low radiation risk, any reduction has to be welcome. A digital image can be copied to a disc or emailed, meaning we can send a copy of your pet’s x-rays to a specialist anywhere in the world. Environmentally friendly, digital X-rays reduces our carbon footprint. Our team of vets will always be working with you to provide the best possible care for your pets. We regards our clients as friends, not just customers, which means that we never take for granted the fact that you choose us to care for your pets. 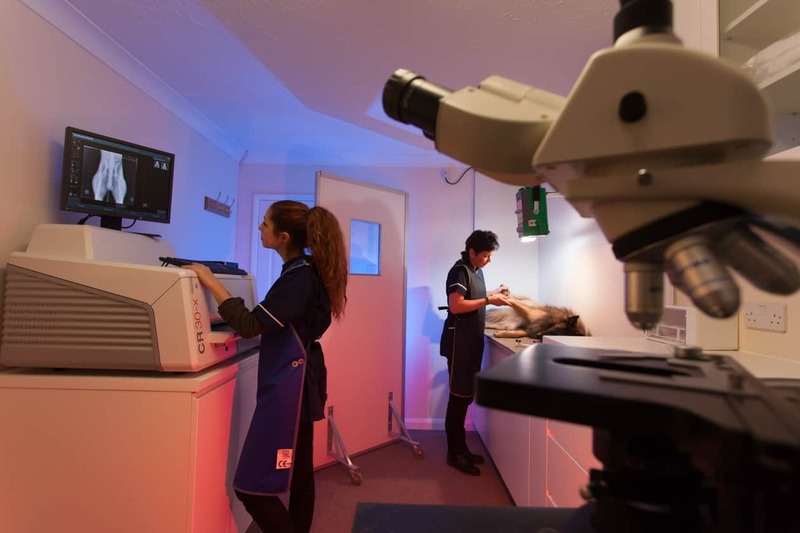 We strive to continually improve on the excellent clinical care and personal service that we provide, investing in training and equipment to ensure that you and your pets are in very safe hands. Adjacent to the consulting block, we have a very comfortable nursing over night facility. This means that if your pet has to be admitted for an overnight stay in critical care, he or she will never be left alone. 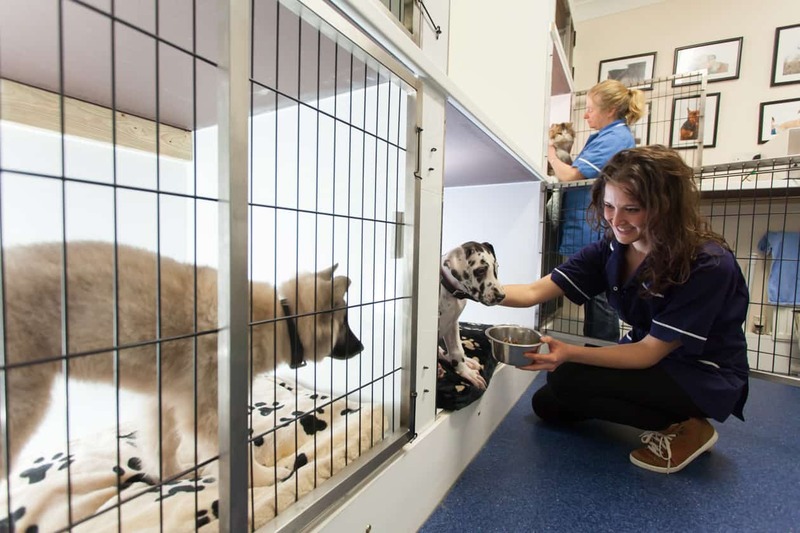 We know that if a loved member of our pet families was sick, in pain or needed to be kept in for treatment, we would want to be sure that there was someone there to look after them. Onsite laboratory facilities, plus rapid access to specialist laboratories. Most of our blood test results are available for next day interpretation which is essential when pre-operative tests are performed, or when early treatment is given following laboratory findings. The practice lab means we can analyse blood and urine samples in-house. Microscopy is also available for skin and urine casework.